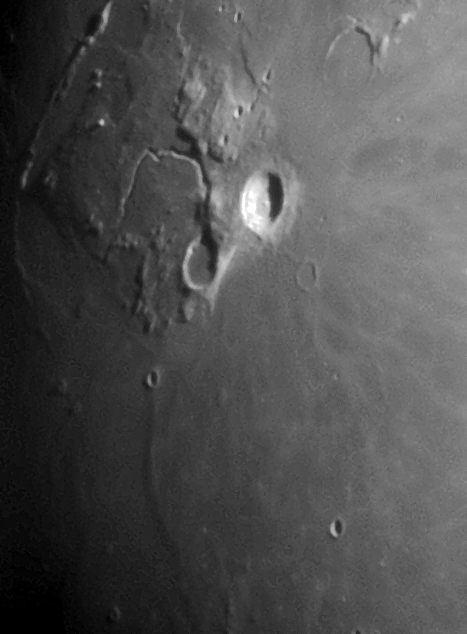 The large crater on the right is Aristarchus. It is one of the brightest features on the full moon. The crater left of it and a little lower is Herodotus and the deep canyon extended away from it is know as Vallis Schroter or more commonly Schroter's Valley.